Called ‘the fairest cape in the whole circumference of the earth’ and regarded as one of the world’s most beautiful cities, Cape Town offers museums, lush parks and shops. Impressive mountains, magnificent beaches and outstanding wineries add to the attraction. 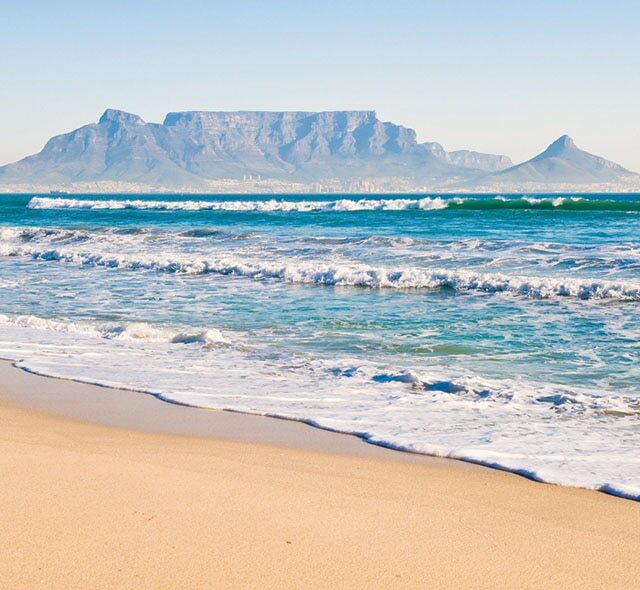 Ride a cable-car to the top of famous flat-topped Table Mountain and gaze at the mosaic of towering mountains, verdant valleys and the confluence of the Atlantic and Indian Oceans. The historical highlight is Robben Island, once the prison holding such outstanding anti-apartheid leaders as Nelson Mandela.